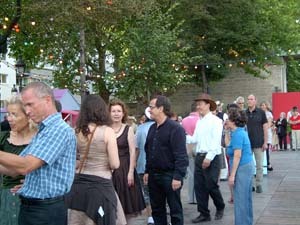 Paris Culture in the Summer explodes outside with fun activity. 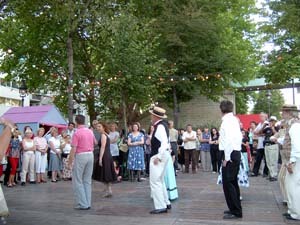 There are many fun free things to do in Paris in the summer as it becomes an outdoor playground. One such offering are the Paris France beaches called Paris Plages. Yes, there are French beaches in the city of Paris! The city trucks in sand, builds temporary swimming pools and offers lots of activities that bring the population of Paris together to dance, play games, listen to music... It’s become one of the Paris culture French traditions. 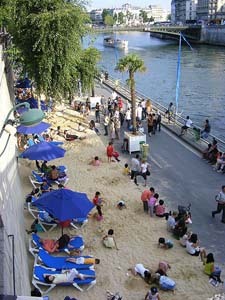 The banks of the Seine along the Georges Pompidou Expressway (closed to cars for the month) becomes a French beach with real sand and beach chairs. This fun stuff started in 2002 and runs for four weeks from July to August from 8 am to Midnight. (starts around July 20). 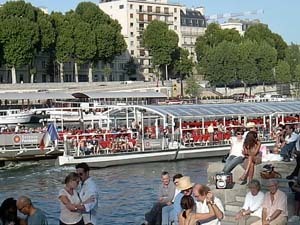 It is located at three places: the Louvre to Pont de Sully, Bassin de la Villette, and Point de la Gare. Our roving French culture reporter Thierry tells us of his typical summer weekend in Paris at two Paris Plages French beaches. He loves to dance in Paris as you can see. 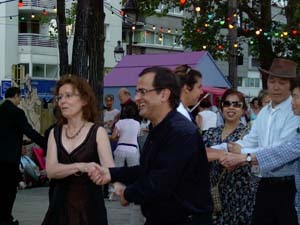 When the weather in Paris France is agreeable (no rain and the skies are clear) all the people of Paris go outside to dance. 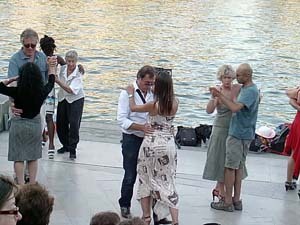 From 6 pm to 10 pm, Saturday nights in the Summer I go to Paris Plage La Villette first to dance “Menuet”, “La Parisienne”, ”Polka”, “Valse”, “Tango”, "Be bop”, "Rock'n'Roll…”. Afterwards with a few friends we sometimes play boules until 11:30 pm. Then we go back home for the “souper”. Here there is a group of people dancing and it is open for anyone to join in, so we do. We again dance tango, polka, salsa, hip hop, rock n’roll, …. This is the first of many French culture reports from Thierry as he lets us in on “hidden Paris”, fun things to do in Paris that we wouldn’t know about as an outsider. This way we can get to know Paris culture from the people and activities we share with them. 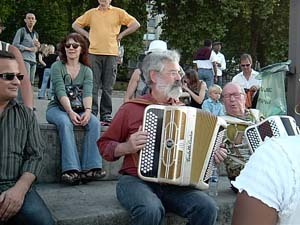 You might even learn basic French or improve your French conversation skills as you play.